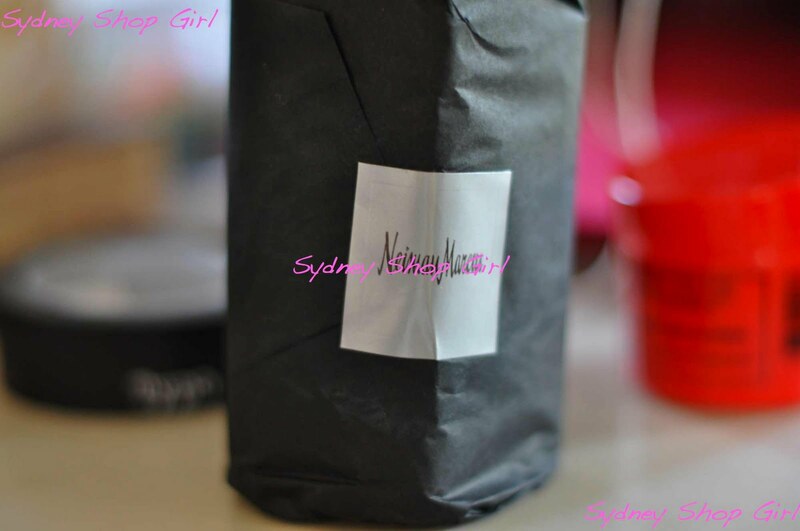 Sydney Shop Girl: Where Will You Be Tonight? I'm Only Asking Because Census 2011 Wants To Know. Where Will You Be Tonight? I'm Only Asking Because Census 2011 Wants To Know. Do you know where you'll be tonight? Yeah, I know, it's only Tuesday night and Masterchef is done for 2011 but still, you've got to be doing something, somewhere. It's not me specifically that wants to know or Facebook or your Twitter feed but Census 2011 wants to know. This year, the ABS has made a big push for as many houeholds as possible to do theirs online. The aim is to beat the 40% online completion rate of Canada, which has the highest rate in the world. I got a bit bored on Friday night, whilst waiting for my home delivery Thai to arrive so I actually answered for SSG Manor back then. It was pretty painless and I graciously put down every person in the house as having done between 5 - 14 hours of housework in the week preceding census date. Then Mr SSG got a bit lazy about filling in his details so I had to do his part of the census. To this day, I don't think he knows exactly what I wrote on his behalf for the 'describe the duties of your job' question. I made up for it by answering the religion question truthfully (as well I should). Such is the life of a married 35 year old woman in full time employment that I know on Friday night what I'll be doing Tuesday night. And that Friday night and Tuesday night are spent in the same place doing the same thing. Except the Thai home delivery. For a bit of excitement, I will be reheating something from the freezer. The excitement comes with the fact that it's chicken and challenge will be to get those juices running clear from the thickest area of chicken flesh. The other night, I poached an egg until it was practically hard boiled. I wonder what's next. I got so carried away by the questions that I completely forgot about the chocolate. I was actually going to tape it to my completed paper form (for the census collector's energy levels) but didn't get the chance with this online format. If I've said it once, I'll say it again. That trip to Hawaii in May is a gift that keeps on giving. There seems to be no end to the gift wrapped Neimans stash I muled back. Today's little gift to me from me is a Jo Malone shower gel - amber and lavender. It's actually more citrus and warm than I would have thought from the lavender component. You'll be happy to know that I don't smell like wool mix today which is what lavender sometimes makes me smell of. I love Jo Malone shower gels because they are so thick and richly fragranced. They fill the morning shower steam with such indulgence. I am willing myself into believing that my morning ritual is complete at this stage and an eye opening cup of coffee isn't always necessary to round things off. Other than Jo Malone scented showers and filling out Census forms, there's not much to report from SSG Manor. I've been busy with work and organizing stuff and my life, in no particular order. The time just passes, the mind just gets kept busy. There's all sorts of financial, political and social craziness going on in the world around me but it's just been a tide of information on the shores of my life. Not directly relevant to me at the moment but good to be aware of. I still haven't thought of where to go for dinner for my birthday this Friday but I do know that I have to go to work during the day. Carrying on with my boring person's life, I think we'll be at home eating safe and nutritious food. I might lash out though and have some ice cream and a baked pudding for dessert. I'll let you know, thanks for looking interested and if nothing exciting happens until the next post, I'll just make stuff up! Promise. 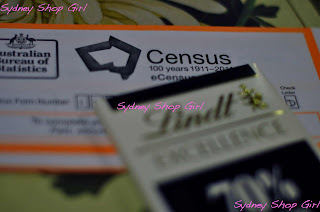 Were you really going to give chocolate to the would-have-been census taker? That's so nice of you! Back in the States, when the census taker came, he asked me around five questions and away he went. Having never partook in a census in any country, I was caught off guard. Next time a census happens here, I'm also going to give a little gift. I just wanted to let you know how much I enjoy your blog. Out of all of the blogs I follow yours is my favourite. 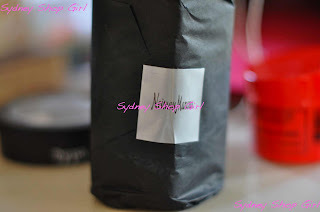 So thank you Sydney Shop Girl and keep on blogging! acaciakaye: thank you for such a kind and lovely comment. You really made the day that much better! riotersbloc: have fun at the meet! Tracy: census here is very detailed... my brain is still recovering. Happy birthday for Friday! Mine is Thursday, so we are special peeps. I have started a new tradition, I'm having the day off work for my birthday!! A little gift to myself if you will (especially seeing as I have no secret stash of Jo Malone lovelies to indulge in). Happy Census Night. We did our census this afternoon, after lunch. I was most disappointed in the questions: lots about how much you earn and where you work, not nearly enough about the Truly Important Questions we face as a society. Things like your favourite designers, your favourite cookie and ice-cream, your supermarket preference, your favourite TV show etc. Those are the things that are really very important. Happy birthday for Friday. You'll have an awesome day - I just know it. 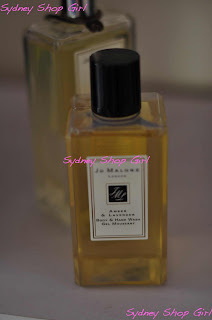 Jo Malone bathroom stuff is just so lovely and really sets up your day! Happy birthday for Friday - too bad about work but at least you can have a late one and a lie in! I just did our Census online this morning as was looking around our office desk and the census was sitting there. Anyhoo, i think Mr SSG needs to take you to Koi on Friday, as it's nice and close to home and the food is amazing! Wishing you many happy returns for Friday! Holiday gifts that continue to give are the best! I am loving that you shower with Jo Malone. I can never decide on just one so I walk away from the counter and regret that I am so indecisive. What an luxe way to start your day. SSG you have some luxe habits! We just completed our census here in the US last year, and it was very dull - at least yours sounds entertaining as far as these things go. I've heard so many good things about Jo Malone but I've yet to take myself to Nordstrom to see for myself. After your review, I'm heading in this weekend! 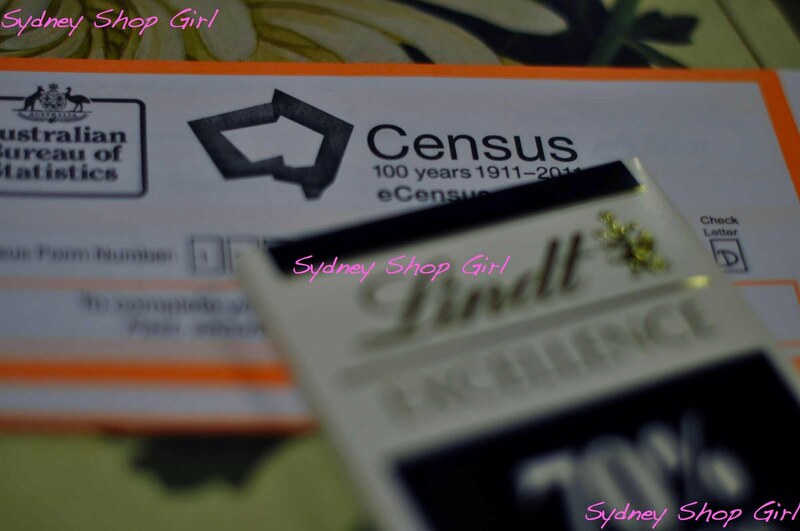 Ahh the census... very much the topic of conversation at work this morning! I was at home, boring old home. Work has been intense and I was exhausted, slept for 11 hours last night :-) I feel great today as a result! I believe the reason we all feel that life is a little boring is that it is the end of winter. Over winter we (well at least I do) slowly become more and more housebound and routine driven. Cold weather and spontaneity don't seem to go hand in hand. Census completion was fun, although what really made me smile was the number of my friends complaining that they couldn't list their pets or "fur babies" on there. In years to come I do actually think it would be interesting to know what and how many pets people had.